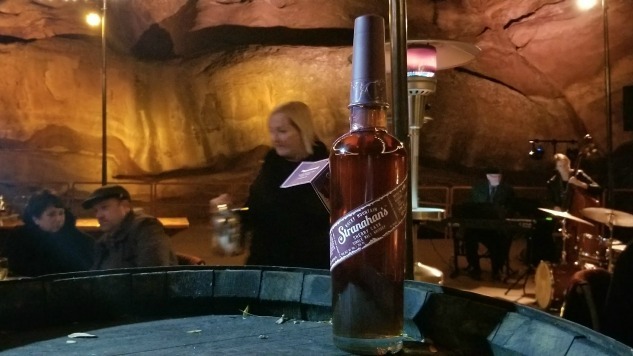 American single malt isn’t a term you hear very often, but Stranahan’s in Colorado is doing it, and this month it’s releasing a new offering: Stranahan’s Sherry Cask. Stranahan’s Sherry Cask Finish is essentially four-year-old Stranahan whisky originally aged in new white American oak barrels before being finished in 40-year-old Oloroso sherry casks from the Andalusia region of Spain. The sherry barrels held wine for over 40 years, which means they have a lot of delicious flavor to give the whisky. It’s essentially the distillery’s (delicious) Diamond Peak whisky, and it’s pretty fantastic. Stranahan’s invited me to the distillery in Colorado a few weeks ago to give the new offering a try. On the nose, the whisky has notes of raisins, ripe cherry, walnuts as wells a bit of leather. Cherry carries on to the palate, as well as notes of honey blackcurrant, and fig. The finish is sweet, with flavors of buttery caramel and brown sugar as well as a bit of a smoky spice. It’s truly delicious and is one of those whiskies you want to snuggle up with beside the fire at night and never let go. It’s definitely earned itself a permanent spot on my bar cart. If you’re a fan of the new sherry cask trend I definitely recommend grabbing yourself a bottle (or 12). This is one you’re absolutely going to want to have in your arsenal.